Cities are citing concerns about safety in their provisions that prohibit marijuana gardens outdoors. Others require costly permits if people want to grow the plant. There are even a few cities that have outright banned the practice. In the city of Montebello, just outside L.A., those who want to cultivate cannabis for personal use are only allowed to do so if they don’t owe any taxes. They also must agree to allow workers from the city to occasionally inspect their property. In the city of Indian Wells, which is just outside Palm Springs, those who want to grow the drug at home have to pay for – and pass – a background check that proves they haven’t been convicted of any felony drug-related offense (including one that involves marijuana) at any point in the last five years. 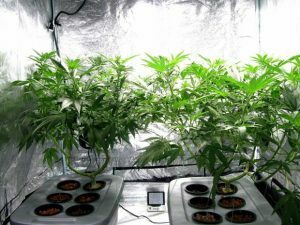 In addition to this, the city has crafted a series of guidelines on which specific rooms can be used – and which cannot – for growing the marijuana. In Fontana, located in the Inland Empire, renters must obtain approval from their landlord – and this approval has to be notarized – before they are allowed to begin growing the plant inside their rental unit. On top of that, they’re going to have to pay a permit fee of over $400. There is concern about the fact that engaging in a privilege offered by the state comes with the cost of personal privacy. The strong likelihood is that these questions of “reasonableness” will be weighed by courts across the state for many years to come.